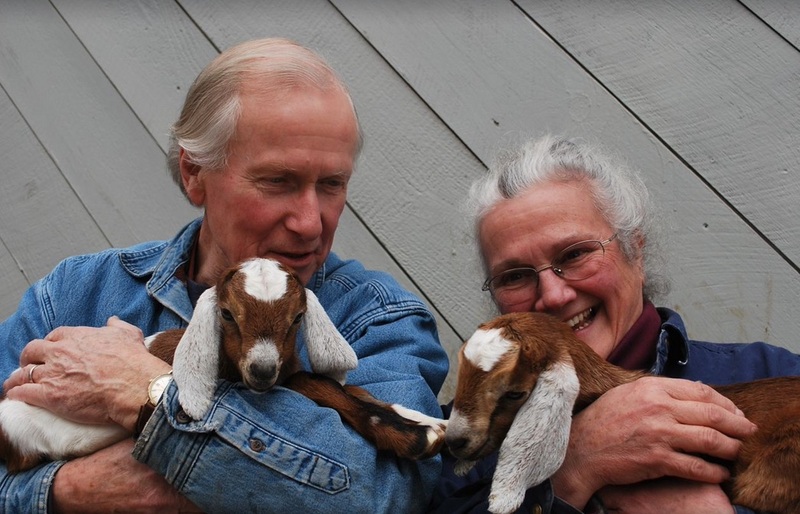 We at Hickory Nut Farm have friendly goats that we milk and use the 'white gold' for making products like yo-goat-gurt, cheese, fudge, and soap. This year, we just updated our milking parlor and improved from milking two goats at a time to milking 12 goats at a time. Everyone loves to have visitors, especially visitors with treats for the goats. In the Spring, we provide hands on bottle feeding to our baby goats, called kids. We encourage visitors to socialize with our kids so drop by and get a goat fix. We also have a stall store so you can purchase our products.